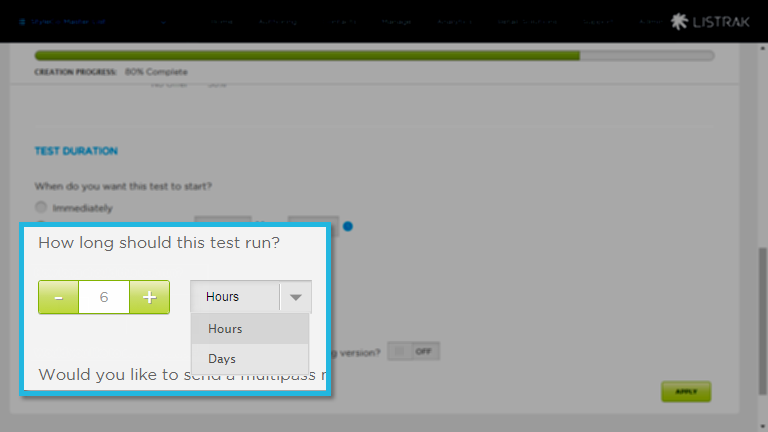 Learn how to determine and apply your test duration settings. 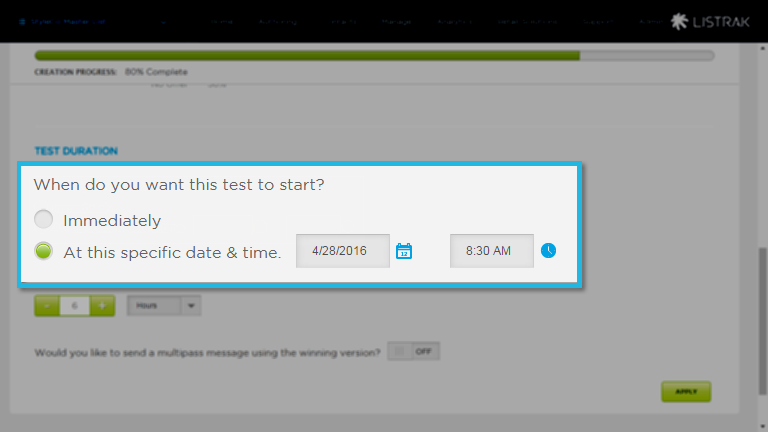 You can schedule your test to start at a specific date and time, or you can send your split test out immediately. NOTE: If you choose to split test Delivery Date or Delivery Time, these options will not be available to you. You will then be prompted to determine how long the test should run for. Winner Takes All: After the test duration is over, the remaining emails will be sent to the remainder group based on the winning message. Standard: The winner will simply be calculated and reported on after the test duration is over. You can have the test run for hours or for days by choosing from the drop-down menu and using the plus or minus icons to increase or decrease the duration. You have the option to send a MultiPass of the winning message to non-openers. Once the test duration has ended, the winning message will be sent to anyone who has not opened the initial message for the test groups. You can also configure MultiPass for the remainder groups when you've selected a Winner Takes All test. You can specify how many hours later you'd like the MultiPass to be sent for each group. Projected Send Date will calculate the date and time subscribers will most likely receive your follow up messages. 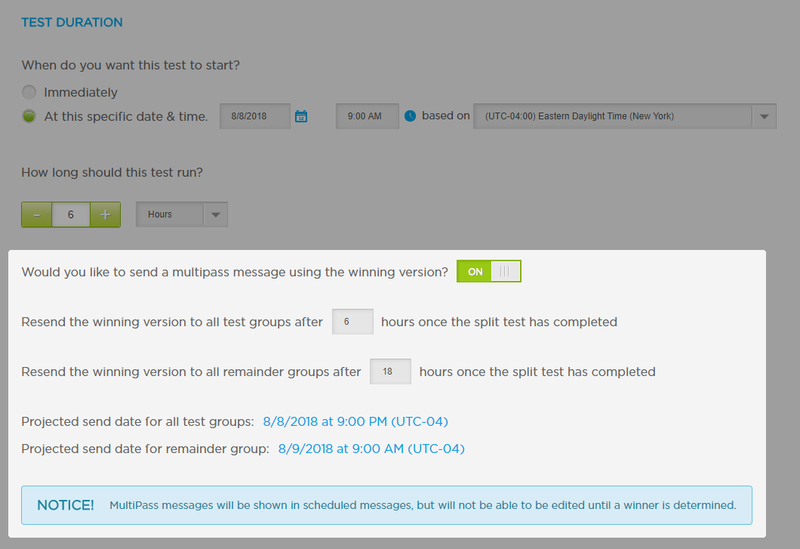 If you are doing a Winner Takes All split test, you will see a projected send date for the test groups, and a projected send date for the remainder group. NOTE: The remainder group hours needs to be greater than the test group. Lastly, click Apply to be taken to the confirmation screen.